Pluto Pillow Review - The Best Pillow On The Planet? 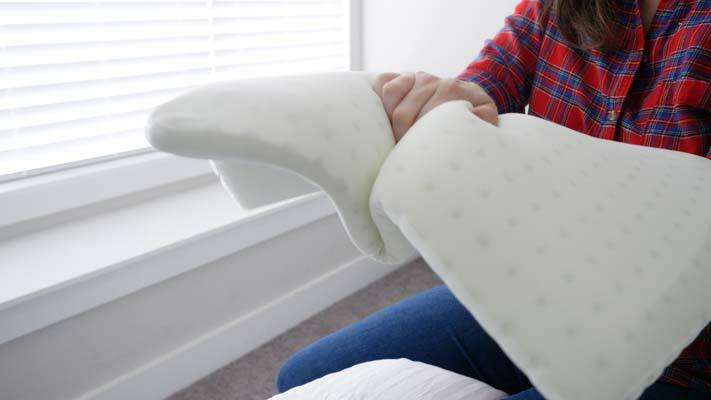 Home » Pluto Pillow Review – The Best Pillow On The Planet? 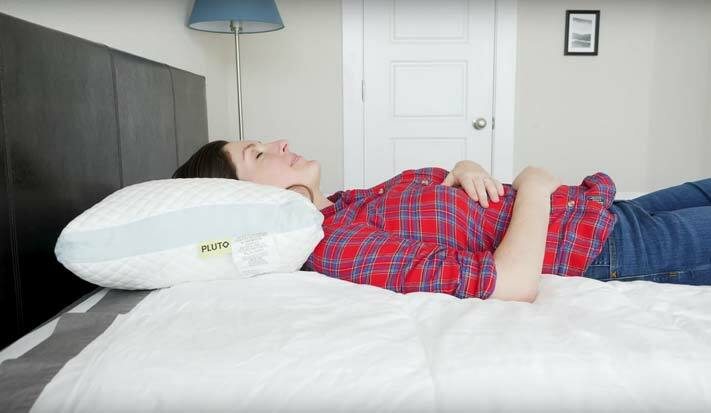 Pluto Pillow Review – The Best Pillow On The Planet? Pluto is a company that will make you a customized pillow based on your personal preferences and basic stats. They gather your information in an online survey found on their website. Then, Pluto puts it in a fancy algorithm and generates a pillow with a hybrid construction (one of 25 variations). Each pillow will have a solid foam core and a softer, plushy outer later for support and comfort. Each Pluto Pillow is personalized to the customer's needs. After filling out a questionnaire, the pillow is shipped to your home. All pillows are a hybrid (or a "pillow in a pillow" design) with a solid foam core and plush outer cover. 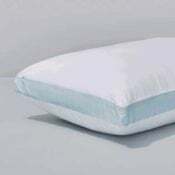 Height, weight, fabric/materials, and firmness will all vary and the pillow comes with a 100-night trial. In order to get your pillow, you must complete an online questionnaire that you can find on Pluto’s website. The questions are thorough and personal. They range from asking for your height and weight to details about how you sleep and what you like and dislike about your current pillow. One nice aspect is that there is a blank box at the end that allows you to add any additional information you might want to convey that will help Pluto create your pillow. For instance, I noted that I usually sleep on shredded foam but was open to other options, and that I felt like most of my pillows were too tall or too firm. The team at Pluto will process your answers and let you know that they have a pillow for you, should you choose to order one. What they don’t do is give you a breakdown of exactly the type of pillow they conceptualized for you. This information won’t be available until you have purchased your pillow and it arrives. I also indicated that I wanted a more supportive pillow over a plushy one, and Pluto’s customer service reps emailed me to give me more details about what “supportive vs. plushy” meant to them. This allowed me to change my answer in a way that they thought would result in a pillow better suited to my needs. The pillow came surprisingly fast and in a cute box with a little recap of my answers and a piece of candy (the way to my heart, of course!). Check out our top picks for Best Memory Foam Pillows. Pluto may not be the only company that makes personalized or customized pillows, but I thought their initial questionnaire was so thorough that they had a great shot of actually getting it right. They asked a lot of the same questions I ask people when they want a personal recommendation. The more information you can give Pluto (and the more details they request), the better chance they have of putting something together that really will suit you. The company says it has about 25 variations of pillows to work with, though all of them will have a similar design and construction. Each pillow will feature an inner core with a high-performance foam and a plush outer cover/outer pillow that’s made with silken microfibers, which give it a plusher, “fluffy” feel. With this design, everyone will get support but also softness and comfort. It’s one of those “best of both worlds” pillow designs that are increasingly popular. I really liked that Pluto took the time to follow-up with me via email and helped me tweak my answers so the pillow I ended up with really worked for me. 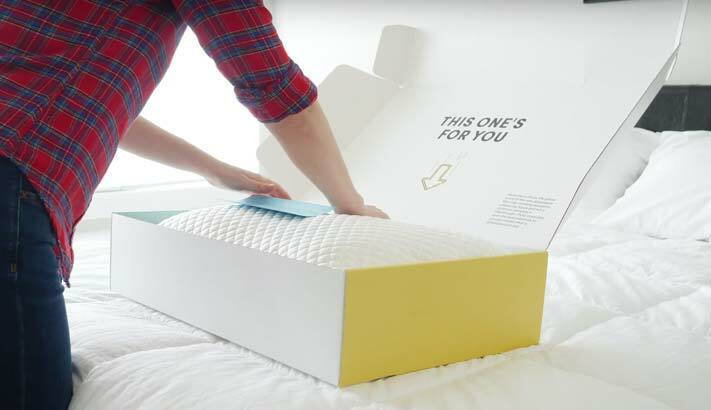 I was surprised by how soft and thin — but also responsive — the inner foam core of my pillow was. The whole thing was flatter than I expected and what I usually gravitate towards. But you know what, it worked. It was super comfortable and is now one of my go-to pillows. Pluto does recommend a 2-week adjustment period. If you get a pillow that is quite different from the kind you are used to, I would suggest giving it that full two weeks. You do have 100 nights to try it out, after all! Because I said that I preferred to sleep cool, my pillow cover featured a cooling polyethylene fabric that was a little slippery for my liking. My pillowcases slid off of it really easily. On the upside, it was quite cooling. 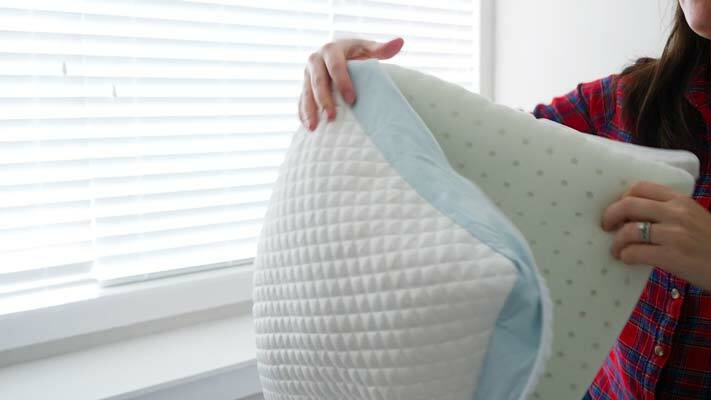 The pillow comes in just one size, and $85 is more money than some have to spend on a pillow. But if you’ve felt like you’ve tried a lot of pillows and nothing is working, I’d encourage you to check out the Pluto Pillow. I’ve had the chance to review a lot of pillows for Mattress Clarity, and I really did end up liking my customized Pluto pillow. It wasn’t 100 percent what I thought I would get, but I was surprisingly pleased with how comfortable it was (and remains to be). I’m also very happy with how easy it is to clean! Pluto’s proprietary algorithm seems to have worked well for me, and I do really like my pillow. The hybrid design with the molded inner foam core is supportive, and the plusher outer cover will most likely be a big crowd pleaser. Each pillow has a lot of unique features that are adjustable, which means Pluto can make little tweaks here and there and really get close to what will be a good fit for you. Yes, it’s on the pricier side, but with 100 nights to try it out, I think it might be worth investigating. I’d definitely recommend it if you feel like you’ve tried every other pillow and still aren’t happy. OKAY LETS have a pillow fight women! Wow, this looks like an AMAZING product. Saw this on instagram and happy to find a great review.